If you have any additional queries, please enter them here. If you have any dietary requirements please enter them here. I wish to book a place on the workshop(s) I have ticked above. The €80 workshop fee is payable on arrival. (Regretfully we cannot accept credit cards) A light lunch (soup & sandwiches) is served at no extra charge. 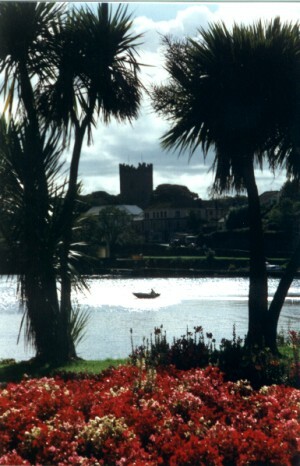 If you decide to overnight in Killaloe, see Accommodation for list of hotels and B&B's. But be sure to book early. The Secretary, Killaloe Hedge-School of Writing, 4 Riverview, Ballina, Killaloe, Co. Clare. Tel: (061) 375217 Fax: (061) 375487 eMail: Please Fill in Form. Note: For international phone and fax calls, omit 0 and add prefix +353.